What follows is yet more Western media double-speak. Instead of illuminating what has really happened in Syria, like so much of the Western media coverage of events there, it tends to obscure the truth. It’s been said that large swathes of the British media is in cahoots with UK intelligence. Well, what follows only bears that out. Because Guardian’s analysis is so badly off the mark as to be insulting to readers, which suggests to this writer that it was published with the approval of British intelligence. While it’s true that President Assad’s forces look increasingly as if they will prevail, that’s not because the world has lost interest in what was happening in Syria, as the Guardian implies. There is one prime reason why this is the case and the following Guardian article hardly refers to it. Almost as if it were incidental. Of course, Russia decisive intervention in Syria in September 2015 changed everything. 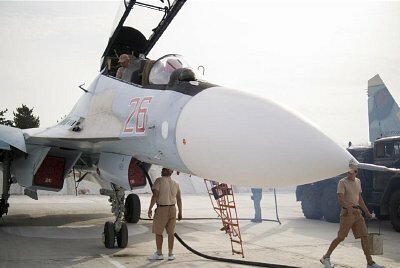 Far from throwing “gasoline on the fire”, as Washington described Russia’s intervention at the time, it marked the beginning of the end for the militants. From that point on the conflict began to turn in Assad’s favour. Iran and Hezbollah also played a key part but Russia’s intervention was pivotal and successful too. Ed.